High frequency response pressure sensor with a better than 0.5 millisecond response time and internal digital signal conditioning that samples readings at a rate of 10 kilohertz. Media Compatibility: SS316L diaphragm and process connection with FKM or EPDM seals. The DMP320 is a high precision pressure sensor for use on test systems where the technician is interested in monitoring and recording very dynamic changes in pressure to a high accuracy. A short time response and highly precise output signal is achieved by the use of a 10 kHz sampling rate digital electronics to linearise and rapidly convert the transducer signal to an amplified 0-10 volt or 4-20 mA output. 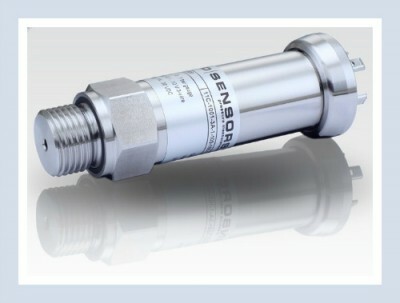 Send us your enquiry for DMP320 0.5 msec Fast Response Pressure Sensor to get assistance with this product type.